Not able to attend our Richmond VMUG vSAN Hands-On Lab event on April 25th, then join us for vBeers afterwards at Capital Ale House Innsbrook instead. Food and drinks will be provided by Lenovo from 4-6 PM in the Private Event Room. 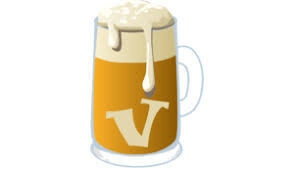 vBeers is just a virtual professionals social event to meet and network your peers in the greater Richmond area. vBeers will start at 4:00pm at Capital Ale house Innbrook located at 4024 Cox Rd A, Glen Allen, VA 23060. There is plenty of free parking on the backside of the building.